First he waits for his cousin Mei Lan to join him from Atlanta. Tai Shan's packing his bags. Next Thursday the panda kiddo will say goodbye to his parents and fly nonstop from D.C. to join a breeding program in China. Start crying... now. 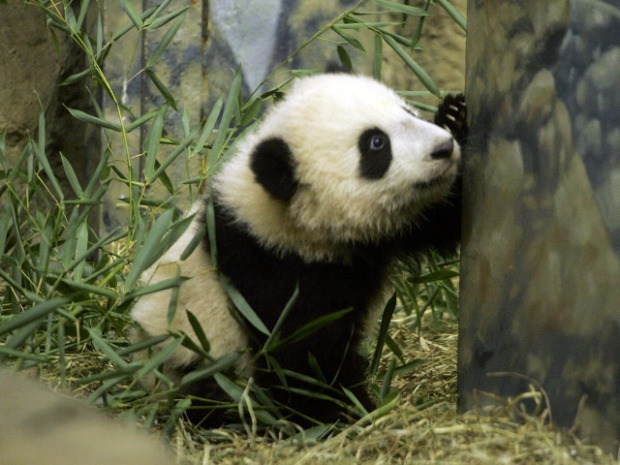 The four-and-a-half-year-old panda, who was born in the National Zoo, will travel with his cousin Mei Lan, a three-year-old female panda who was born at Zoo Atlanta. FedEx Express will fly Mei Lan from Atlanta to D.C., where she'll meet up with Tai Shan in preparation for the trans-Atlantic flight. Both pandas will travel onboard a first class custom-decaled FedEx Express 777 Freighter known as the FedEx Panda Express. "It is a privilege to serve as the trusted carrier of these rare pandas," said president and CEO of FedEx Express David J. Bronczek. "[W]e are proud to support the preservation efforts of this endangered species." The pandas will be placed in custom-built transportation containers provided by FedEx Express that are about six feet by four feet. FedEx Express is also providing ground and logistical support, including caravans that will deliver the pandas to the airports in both D.C. and Atlanta. Tai Shan is about ready to be Fed Exed back to China. Many locals admitted they're sad to see Tai Shan go. "I've come [to the zoo] since Tai was born," said Judy Young of Alexandria. "He's a lovable guy who has touched everybody in the city. I'll be here until the last minute that Tai is here. It will be a very sad event to see him go." Lori Molatky from Michigan says that she has come to visit Tai Shan nine times and will be here until Sunday evening to say goodbye. "I'm here just to say goodbye to Tai Shan and see him in the fur. It is definitely sad, but I know that's just the way it is," Molatky said. 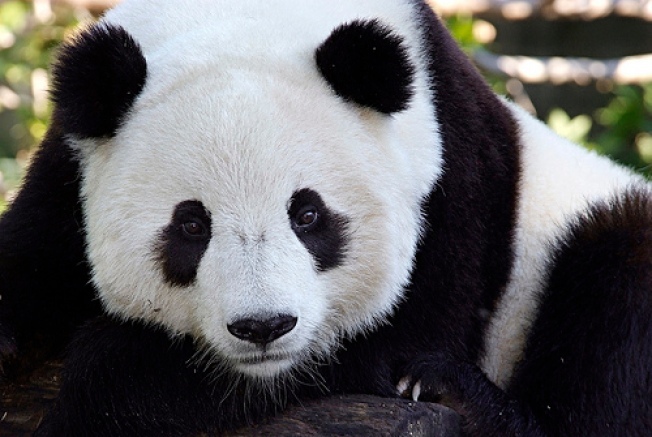 The pandas will leave D.C. in late morning on Feb. 4 and will arrive in Chengdu, China in late afternoon on Feb. 5.